Select a campus below to see times and location information. Not sure what location is right for you? 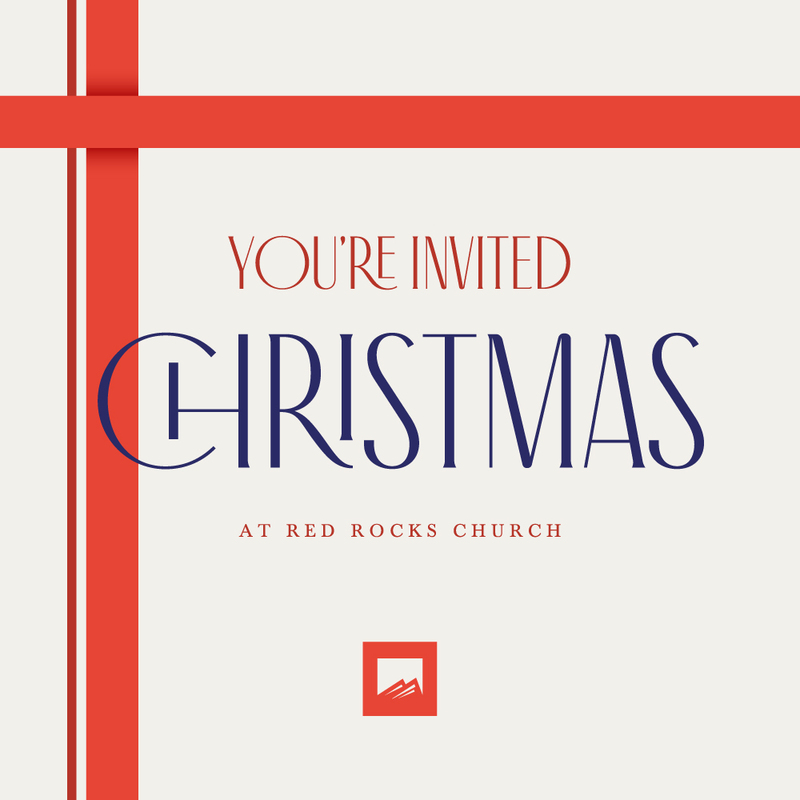 If you call Red Rocks home, we'd love your help serving this Christmas! 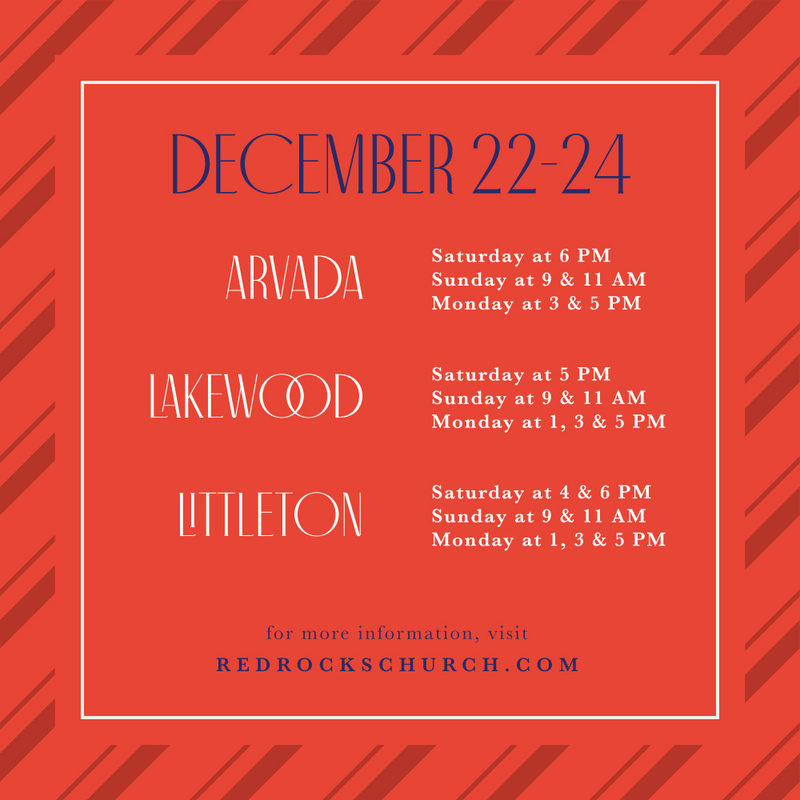 Attend a Saturday or Sunday service to make room for first time guests who may attend our Monday services.  Join your campus' volunteer host team by clicking the link below. 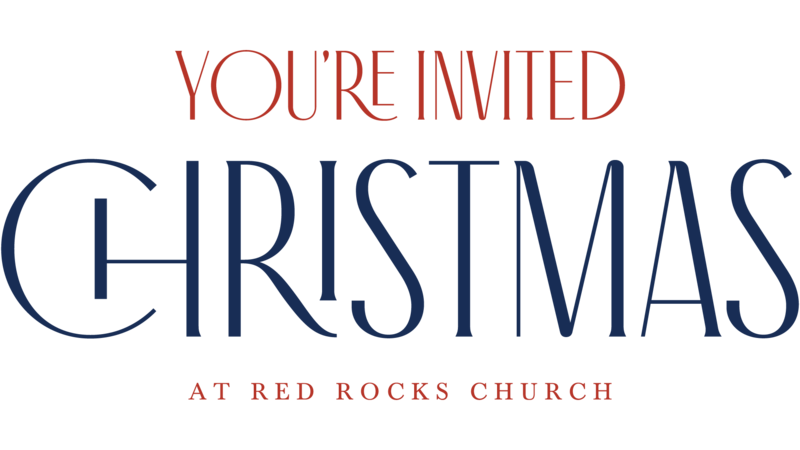 We're so excited to celebrate Christmas Eve with you as a church family this year. We gather together just the way we are — with all of our problems, our blessings, our hurts, and our joys. You won't want to miss it! 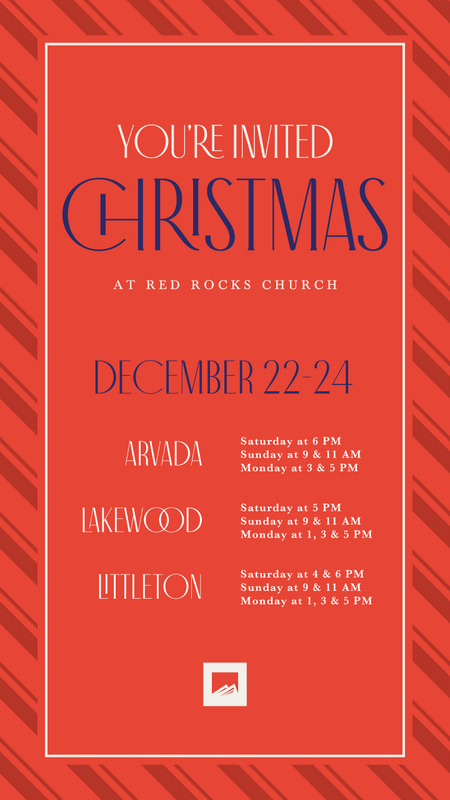 Red Rocks Church this Christmas!